True North's consolidation of services has benefited patient care. True North's connections in the medical and pharmaceutical business are providing opportunities for group purchasing, pharmaceutical retail and more. Value-based care has not only changed the way health care is paid for, it has also significantly altered what medical organizations do, extending services beyond patient care. 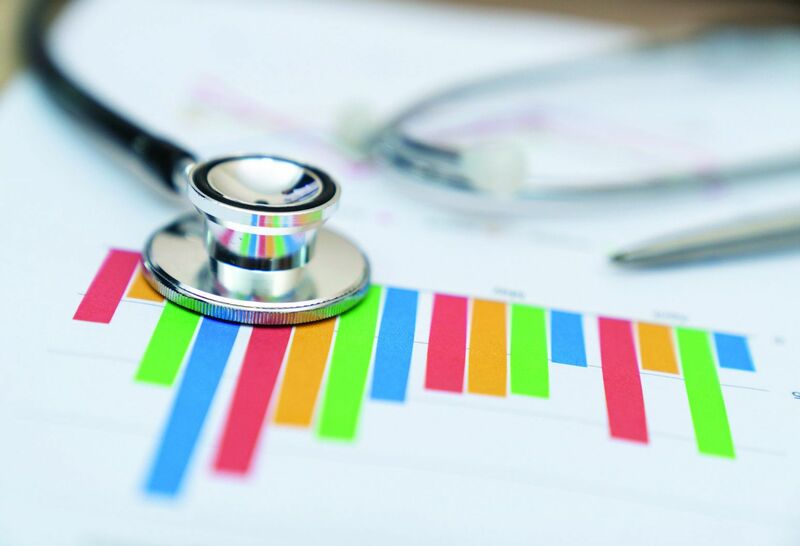 Forecasting this trend years ago, Northwell Health executives implemented business initiatives to generate new revenue by pursuing new commercialization opportunities, reducing purchasing and operational costs and expanding service capabilities. While some of these entities have been operating independently for several years, the health system this year joined them together under a new entity called True North Enterprises. The new business arm oversees about $200 million in annual revenue, and develops and invests in products, technologies and services that will help fund Northwell’s mission to improve the health of our communities. True North Enterprises assembles all health system entities that focus on business and retail services, consulting, new joint ventures, and investments in start-ups and innovative ideas that originate with Northwell clinicians, researchers and staff members. True North Enterprises commercializes and sells these products and services to other health care providers, pharmaceutical companies and through other business-to-business relationships. True North began in 2006 as North Shore Enterprises with the creation of Vivo Health, the retail specialty pharmacy, pharmacy benefits manager and new mail order prescription medication program (see page 10). There are now Vivo Health pharmacies at 410 Lakeville Road in New Hyde Park, the Center for Advanced Medicine, Lenox Hill Hospital, Long Island Jewish (LIJ) Medical Center, and North Shore University, Phelps, Southside, Staten Island University and Zucker Hillside hospitals. This year, projected revenue for the venture is $150 million. True North’s growing portfolio incorporates business services, retail, ventures/investments and clinical trials for pharmaceutical companies. This issue appeared in the latest issue of The New Standard. Thriving entities such as Vivo Health and Northwell Health Alliance, the health system’s group purchasing organization (GPO), are among the health system’s business services. The GPO serves as the intermediary between manufacturers, suppliers and health care providers, leveraging collective buying power to negotiate discounts and generate independent fee income on behalf of its members. Northwell Health Alliance members include all of the health system’s entities, plus affiliate hospitals such as Crouse Health in Syracuse and Nassau University Medical Center. The GPO earned $13.1 million in fees last year. Beyond discounts, the GPO provides data analytics, benchmarking, market research, consulting and additional services. It has 380 unique members, 460 contracts and about $900 million in goods and services that are purchased through Alliance GPO contracts annually. “We want to keep growing and help other providers develop value-based models to improve the quality and availability of products and services they acquire,” said Phyllis McCready, vice president and Northwell Health’s chief procurement officer. “With the ever-increasing consolidation of our vendors, we take a holistic approach with our business and relationship development. This strategy gives us the advantage to procure new products and technologies more efficiently.”True North also oversees the health system’s new central sterile facility in Bethpage (see page 8). Other opportunities to monetize include internal businesses such as the Bioskills Education Center, workforce safety, telehealth, employee wellness, population health management capabilities and numerous other areas, Ms. Drummond said. True North is Northwell’s answer to health care’s evolving landscape. We are at a critical stage to lead reform by identifying business opportunities beyond patient care delivery. By selling the new services and capabilities we have developed and collaborating with start-ups, high-tech firms and other businesses, we can generate revenue from areas we never thought of before. Northwell Ventures, the health system’s entrepreneurial arm, invests in early-stage companies and employee-driven innovations. Currently investments include 14 emerging health care companies that help advance Northwell’s strategy. Mostly start-ups, these joint ventures have provided unique solutions for products and services such as telehealth, imaging, physical therapy and more. “Our endorsement sends a strong message to the market,” said Richard Mulry, executive director and chief operating officer at True North. “As a strategic investor, we rely on our internal team of experts to conduct product-use cases across the organization — validating efficacy and often enhancing the product offering. Ventures also covers ideas that originate within the health system. For example, Lorenz “Buddy” Mayer, assistant director of support services at North Shore University Hospital, created Hand Shield, a privacy curtain that reduces the spread of germs and risk of infection. Ventures also collaborates with winning teams from Northwell’s Innovation Challenge, which gives employees an opportunity to present their entrepreneurial ideas for support from the health system. Established in 2015, Pharma Ventures focuses on gaining the health system’s involvement in valuable clinical trials, focusing on education initiatives, population health, innovative contracting and specialty pharmacy services.